forensic audit of all restructured loans that had turned into bad debts. Forensic audit is also required for wilful defaults and Reserve Bank of India (India) has been asked to prepare guidelines for the process. The analytical reports of the forensic audit should be submitted to the panel in six months, it said in its report. 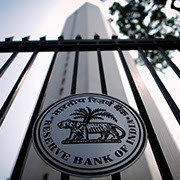 RBI, as a regulator, did not succeed in implementing its own guidelines, it said, and asked the apex bank to be proactive and monitor the issue on a regular basis.